The objective of this project is to validate the concept of a Laue diffraction lens for nuclear astrophysics. Instruments of this type, benefiting from the dramatic improvement of the signal/noise ratio brought about by focusing, will combine unprecedented sensitivities with high angular resolution. 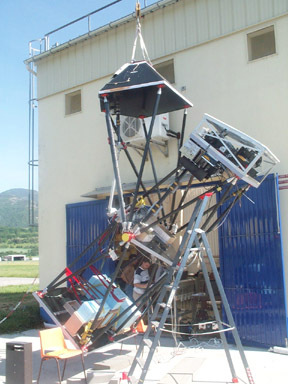 The instrument features a Laue diffraction lens, a 3x3 array of cryogenic germanium detectors, and a balloon gondola stabilizing the lens to a few arcseconds. The lens consists of Ge/Si mosaic crystals, focusing gamma-ray photons from its 366 cm2 area onto a small solid state detector, with only 18 cm3 equivalent volume for background noise. The diffracted energy of 170 keV results in a focal length of 279 cm, yet the entire payload weighed under 500 kg. The telescope structure consists essentially of carbon fiber spars, aluminum fittings and honeycomb platforms. 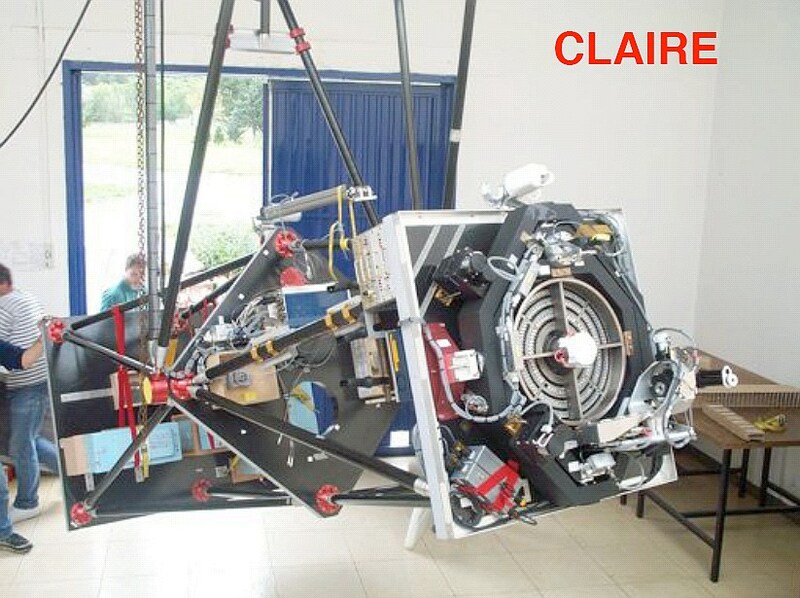 It is mainly this ''minimal design” that has brought the weight of CLAIRE below 500 kg. 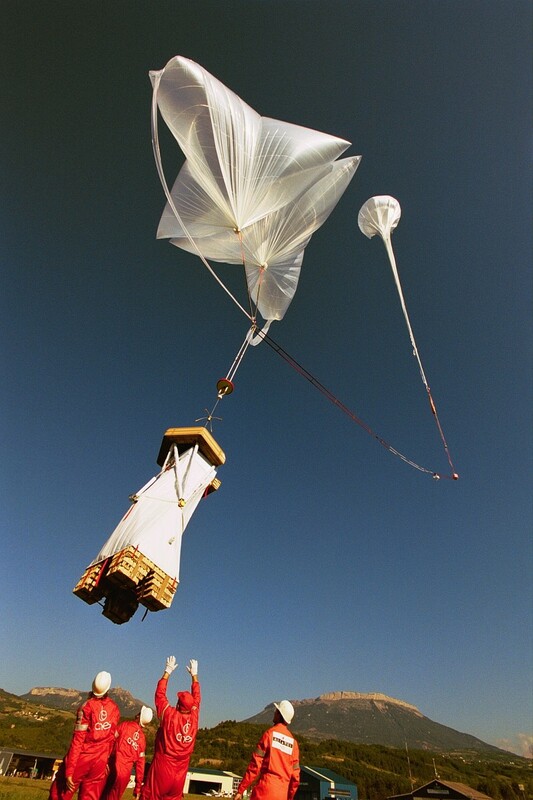 The launch operation started with the rollout of the payload at 6.47 local time on june 14, 2001. 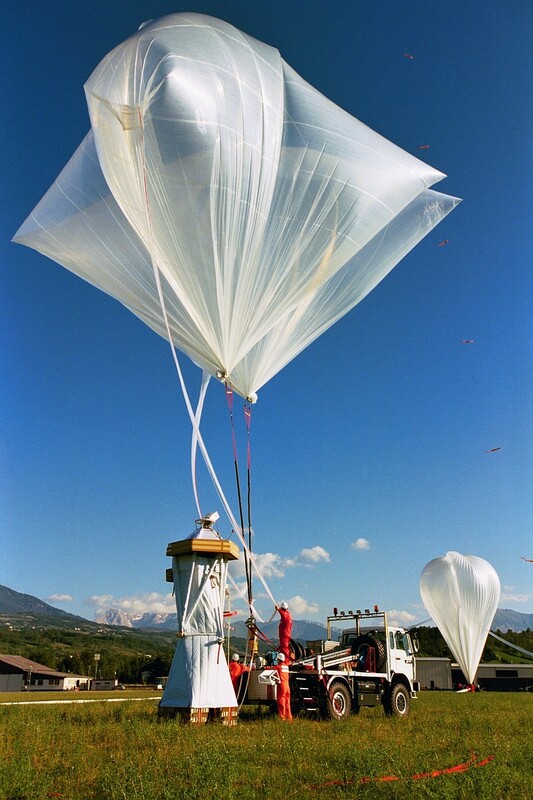 The balloon inflation started at 7:39 and was launched at 8:29 using the auxiliary balloon dynamic method. At 9:57 the balloon passed the tropopause and a few minutes after that started the pointing and stabilization. The telescope was deployed at 10:15. 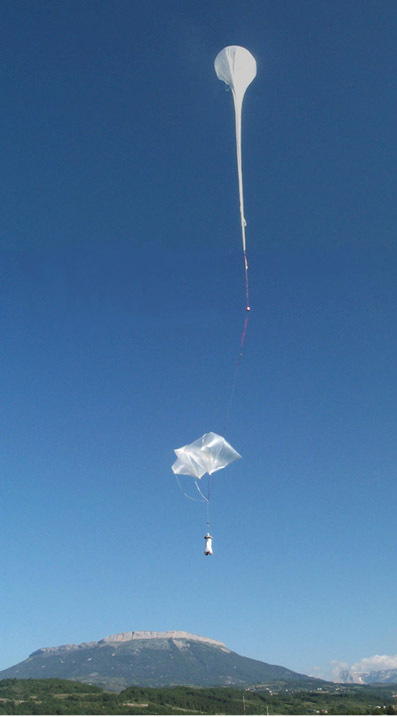 At 11:02 the balloon reaches the float altitude of 41 km and at 11:28 started the observation of the Pulsar of the Crab nebula. After a float flight of near 6 hours the telescope stoped the observations at 16:20 and the gondola started all the end of flight process. 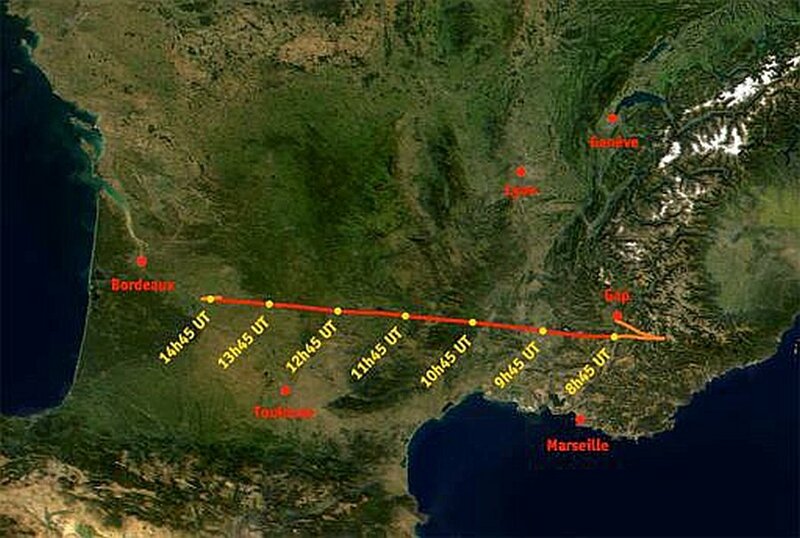 The payload was cutdown at 16:50 and at 17:12 landed in the region of Bergerac, Dordogne. The landing was violent, because the payload fell from the sky under 1 parachute instead of 3. The carbon fibre structure was very damaged on the low level of the telescope and the 4 crash pads were completely crushed. At the arrival to ground the speed of deceleration exceeded 50 G at the end of the crush pads. In this first scientific flight, all the equipment of the gondola functioned in a nominal way. The few problems encountered during the 2000 flight all were solved and the fine pointing functioned once again in a perfect way. The primary pointing and specially, the system of retiming in azimuth, was responsible for a certain degradation of the performances. The general conclusion of the flight is that is a promising instrument but still misses robustness.